In its answer to the public consultation on the Mid Term Review of the EU Maritime Transport Strategy, the ETF Maritime Transport Section has put the inclusion of the human element at the core of its contribution. This consultation, launched by the European Commission at the beginning of this year, aims at collecting stakeholders’ views on the priority areas for the EU and its Member States when defining future actions and initiatives in the framework of the EU maritime policy. The ETF contribution particularly focused on the need to improve the situation as regards the human element in shipping and the need to develop a progressive EU framework which ensures more and better jobs at sea for EU-domiciled seafarers. The ETF is of the opinion that improving the competitiveness of the EU shipping industry must translate into job creation and training opportunities for EU-domiciled seafarers. 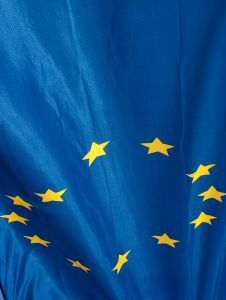 In its response the ETF has put forward a number of proposals, such as the need to revive an EU-wide manning directive that creates the conditions for a level playing field in intra-community trade and the need to review the State Aid Guidelines to strengthen the link between the granting of state aid and the employment of EU-domiciled seafarers. Following the public consultation, a report will be made publicly available on the Commission’s website. You can download an Executive Summary of the ETF answer below. The full ETF response is available upon request via etf@etf-europe.org.